This question comes by way of Gugsy and I thought it was a good one. So without further adieu this week’s question is: which anime of 2015 do you think was the smartest? I will leave the meaning of “smartest” to your personal interpretation, but please explain in the comments why you made your choice. Also, any show that aired at least one episode in 2015 is acceptable as an answer, just makes it easier on everyone. 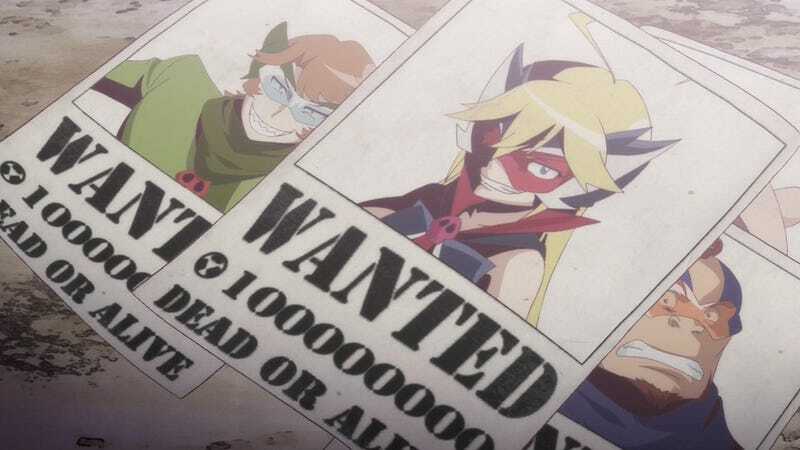 My choice for this one might seem a bit odd, as Yatterman Night is a pretty dumb, but highly entertaining show from the winter of 2015. And I freely admit there are a number of other shows I could have picked and if you ask me this same question tomorrow I might very well give you a different answer. But for now I am going with Yatterman Night and my reasoning is pretty simple. It is a smart and successfully subversive take on the equally dumb, but likewise highly entertaining Yatterman franchise. So the reason I pick this one as my “smartest” show of the year is not the content of the show itself, but more that it is a great example of how to breath new life into an old franchise. Add to that the absolutely adorable Leopard as a nine-year-old super-villain supreme and you would be remiss to have not seen it. As I will be at a going-away thing for a co-worker, I will not be able to respond to anyone’s comments for a few hours. So until then, talk amongst yourselves.